Season 3 is spiraling toward its stunning conclusion, the best season finale in the history of television. So follow me on this journey. Walkabout begins with humor. 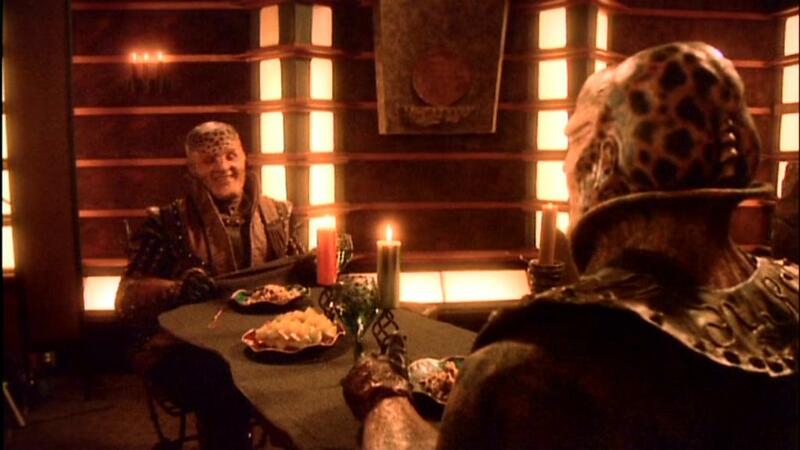 G’Kar dines with Na’Kal, who is fighting the good fight against the Centuari occupation of their homeworld. Na’Kal is impressed with the fresh breen G’Kar is serving him. Actually, G’Kar, says, the food is Swedish Meatballs, not breen. Every civilization he has encountered has a dish just like the one the Humans call Swedish Meatballs. It is a galactic mystery. Remember that the next time you enjoy Swedish Meatballs. 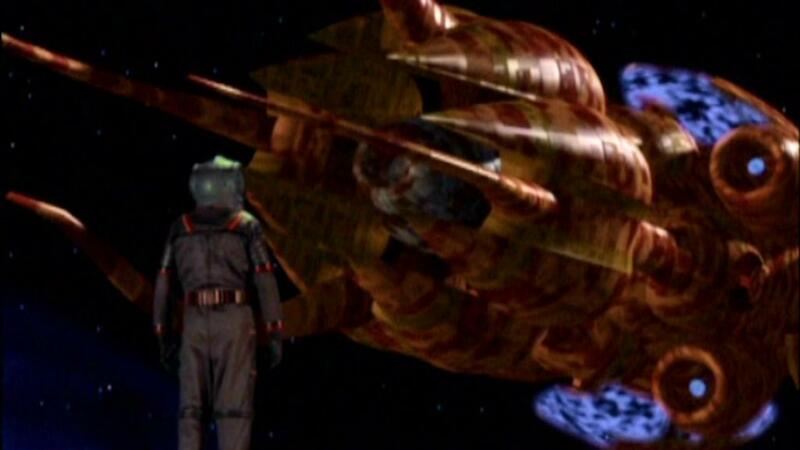 Ulkesh, the new Vorlon Ambassador, arrives on Babylon 5. 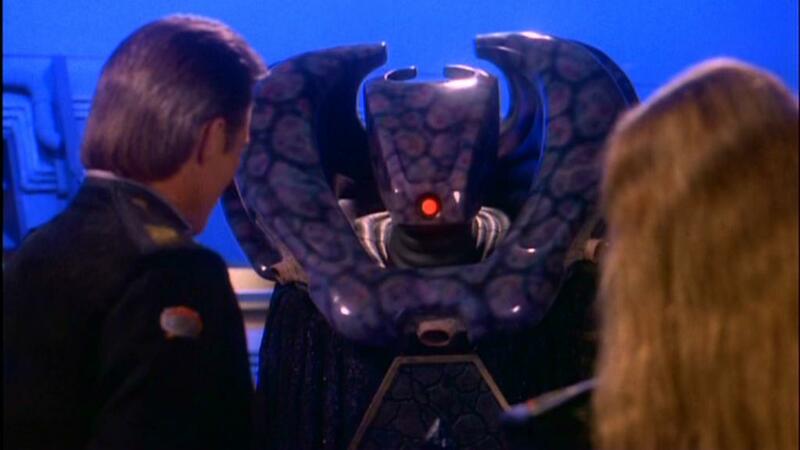 He is a very different Vorlon than Kosh, who cared about people. Ulkesh, in contrast, is a very cold and angry fish. Lyta was off-station on a mission for Kosh when the Shadows killed Kosh. 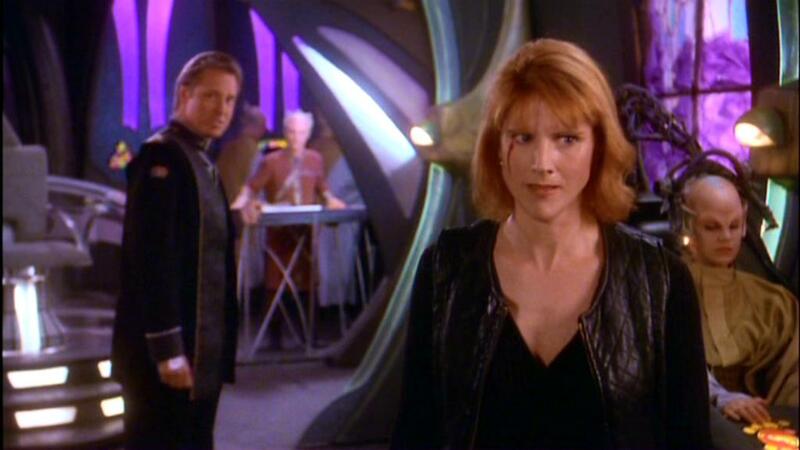 She is upset about Kosh’s death, but that pales in comparison to how Ulkesh and the other Vorlons feel. Ulkesh assaults and frightens Lyta Alexander (pictured above) before discovering that she knows nothing firsthand about Kosh’s death. HINT: The Vorlons are about to become villains. Lyta joins a White Star mission and exacts her revenge on the Shadows, but not before she says, “Burn, you bastards!” She uses her Vorlon-enhanced telepathic powers to neutralize Shadow vessels so that the White Star can destroy some Shadows. Along the way Lyta learns that there is a piece of Kosh hiding within Captain Sheridan. This, too, is an important detail for the series arc. You might wonder why this episode’s title is Walkabout. 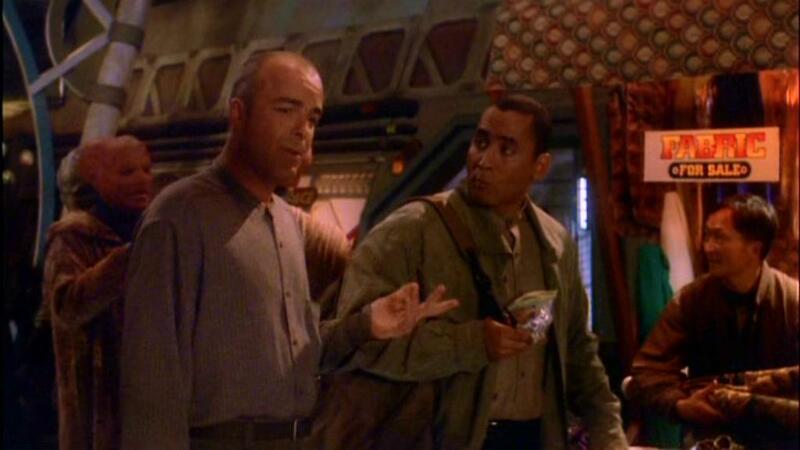 Here is the answer: Dr. Stephen Franklin, aware of his “stim” addiction, is on walkabout around Babylon 5. He is trying to find himself. (He does find himself, but not in this episode.) Dr. Franklin does find a bar Down Below, where Cailyn, a singer, entertains the denizens. Dr. Franklin becomes romantically involved with Cailyn, who, he learns, has just six months to live. Singing gives he great joy while helping others. If one is going to live, one might as well live, and Cailyn does this to the full. 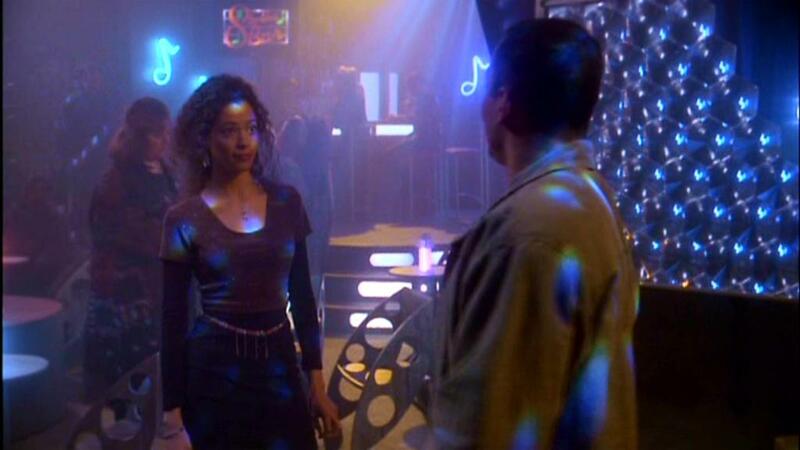 Walkabout is a combination of wonderful character development, food humor, and story arc advancement. It is worth many viewings.